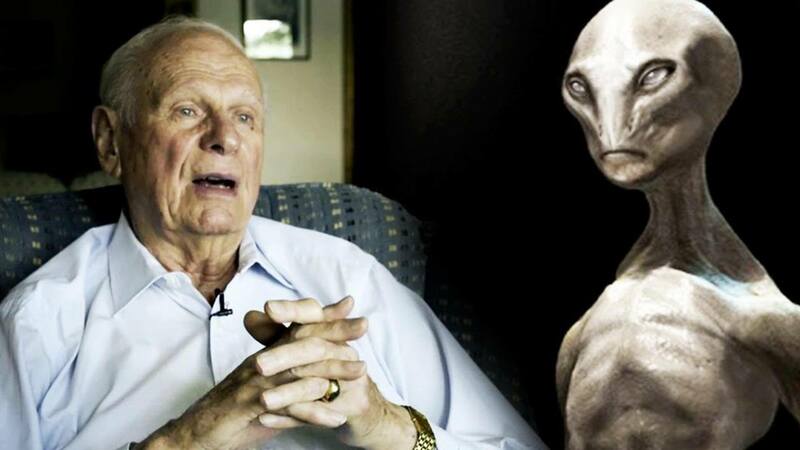 When I first heard that Paul Hellyer, Canada’s former minister of defence, had revealed he truly believes in extraterrestrial life, I was very, very happy. Paul made the biggest headlines regarding his deep-seated alien beliefs during a speech at the Citizen Hearing on Disclosure, a mock congressional hearing in Washington, DC, devoted to lifting the “truth embargo” on extraterrestrials. It’s not as if I have been overly anxious for some kind of tipping point where UFOs and aliens would become a mainstream issue, but it would certainly be very cool if it happened, and Paul’s speech made me think that maybe, possibly, hopefully, we were approaching that time. Beyond Mr. Hellyer’s claims that little green men—a term he avoids, as it is obviously a byproduct of anti-alien Hollywood propagandists—are real, he insists that several extraterrestrials currently live on Earth, and are actively cooperating with the United States government by sharing their highly-advanced technologies with our puny human minds. What we are giving them in return is, to Paul, unclear, but basically he insists that a lot of the stuff that what makes up our high-tech gadgetry has been gifted to us by overly-advanced ETs. Once Paul’s bold claims about the extraterrestrial issue made their way into my ears and up to my pink, primitive brain, some kind of a mental explosion occurred. I became totally obsessed with locking down an interview with Paul Hellyer himself. After a bit of emailing and weeks of waiting, Paul invited us to his cottage in Muskoka, a beautiful patch of cottage country in Ontario, Canada. It was mid-July. We arrived during a massive storm where trees and streetlights were knocked over into the roads, and the town was preparing for a tornado warning that never arrived. (A tornado is, if you’re not already familiar, somewhat out of the ordinary for a small Ontario town). The eerie atmosphere made us think, and feel, like we were being thwarted by some sort of alien overseer who didn’t want us to be asking Paul anything about the extraterrestrials’ role in human affairs. I know that sounds completely ridiculous. And maybe it is. But that’s just the type of paranoia one develops when they’re on the way to visit an accomplished ex-military figure who definitely believes that aliens provided us with the know-how to make our own Kevlar vests. What followed is what you see here. You can decide for yourself whether or not you think Paul Hellyer is legitimate, but don’t let his age fool you into some superficial dismissal of his intellectual stability. The man is not senile. He has done a massive amount of research and interrogation of people who claim to have been abducted, or were allegedly involved in military programs to reverse-engineer alien technology. The information he has gathered has led him to believe all of his claims whole-heartedly, and there are others like him. Paul Hellyer been coerced into believing a bunch of nonsense? Or is he really on to something? Check it out and let us know what you think.